← The Sports Archives – Longtime Sports Rivals That Fans Love To Debate! The Sports Archives – The Ultimate Motorcyclist Jargon Buster! 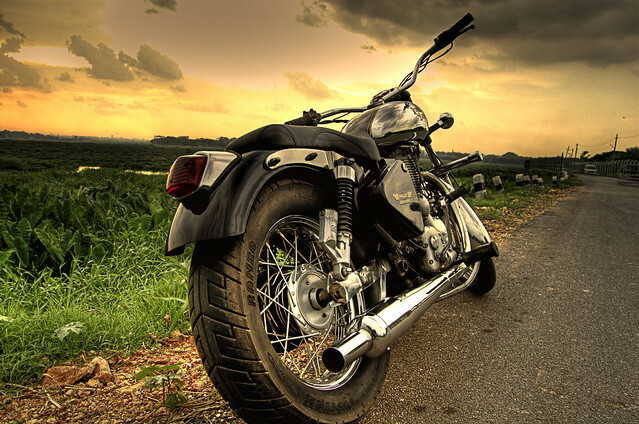 When learning to become a motorcyclist, you need to master more than your theory and driving. The motorcycle world is its own community, and with it comes a lot of jargon that can be difficult to understand. No, they aren’t talking in another language, it’s just terms that one day you’ll be chatting too. But to help you overcome this apparent language barrier, we’ve come up with an ultimate motorcyclist jargon buster that covers the key things you should know. Gore-tex isn’t the name of the latest sci-fi movie hitting the cinemas, it’s the only waterproof fabric you’ll need to stay warm and dry whatever the weather. High quality and breathable, it’s designed to be comfortable and practical. Invest in some gore-tex gear before you take your motorcycle test, oh and don’t forget a skid lid or a brain bucket…. That’s a helmet to you. You should wear ATGATT when riding a motorcycle, an acronym that means all the gear, all the time. So purchase your helmet, gloves, vest, trousers and boots when learning to drive a motorcycle. Drivers who don’t wear their gear are known as squids or worse, organ donors. Want to look the part when out on your bike? If you become part of a biking community, you’ll inevitably end up with patches sewn onto your jacket, whilst those cloth head coverings that so many motorcyclists wear are known as do-rags. There are some weird and wonderful terms to describe actions and movements on a motorcycle. Doughnuts might be tasty, but you’ll get a taste of adrenaline if you do one on a motorcycle: it’s a burnout 360 degree circle where your front wheel stays in places and the rest of the bike rotates. When coming to a stop, don’t forget to use both brakes of you might do a ‘stoppie’ or ‘endo’, where the rear tire lifts off the ground. When setting off again, hammer down to accelerate quickly, but you might have to pop (let go of) the clutch first to enable this. Hopefully you’ll never be in a motorcycle crash, however serious, but it’s important to know some of the terms associated with crashing. If you do happen to lose control of your bike, you’ll be ‘eating asphalt’ as the motorcyclist community calls it. And then you’ll end up with road rash from the marks if you come off lightly with a few skids and scrapes. Perhaps the worst type of crash has to be when you come up and over your handlebars. This is called a high sider, and often occurs when the rear wheel locks up. Meanwhile you’ll ‘horizontally park’ if you perform a low sider, where you come off the bike sideways. When riding as a group there are even more terms that can help motorcyclists to communicate on the move. Know that the tail gunner or sweep rides will be at the back of the group and is often a more experienced, reliable driver to protect the pack. 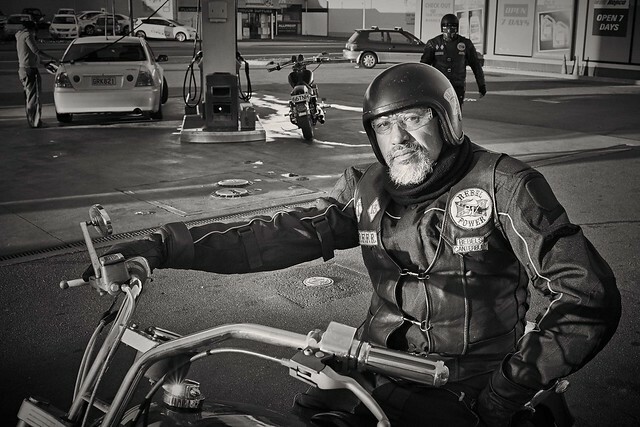 Meanwhile the Ride or Road Captain tends to be the group leader who will drive at the front and determine any rules, journeys legs or actions of the group. The two should communicate effectively throughout a tour to make sure things run smoothly with regular stops. There are so many motorcycle terms and slang that it would be impossible to cover everything within the space of a blog post. However by covering the most important terms to get you started, this jargon buster guide should have you learning the lingo in no time. A guest blog post designed to simplify the motorcyclist terms for newbies, from Book Your Motorcycle Test Online. 2013 Kawasaki Ninja 300, a Massive Recall! This entry was posted in Motorsports and tagged ATGATT, brain bucket, motorcycle blogs, motorcycle culture, motorcycle gang riding, motorcycle jargon, motorcycle language, motorcycle lingo, motorcycle rider gear, motorcycle riding tips, motorcyclist community, riding as a group, skid lid, sports and adventure, sports and travel, Sports Archives, Sports Blogs. Bookmark the permalink. 2 Responses to The Sports Archives – The Ultimate Motorcyclist Jargon Buster!